Warmth, extra pockets, and the freedom of mobility these sleeveless "Waistcoats" allowed them were some of the very practical reasons these suit vests were popular among the 1880's Westerners. 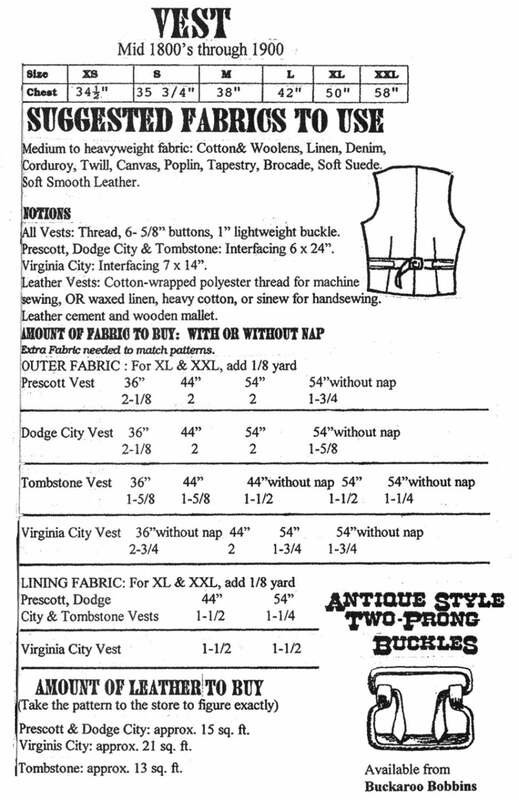 This pattern package contains patterns and instructions for fabric and leather, four different vest styles, fitting instructions for ladies', and all sizes from 34" chest to 58" chest. 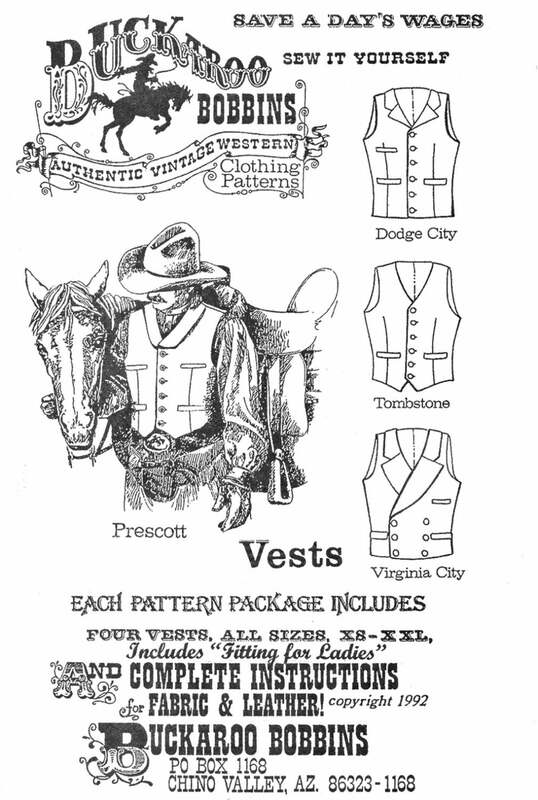 Vest styles: Prescott, Dodge City, Tombstone and Virginia City. Buckaroo Bobbins patterns are printed on paper for more durability and ease of use.